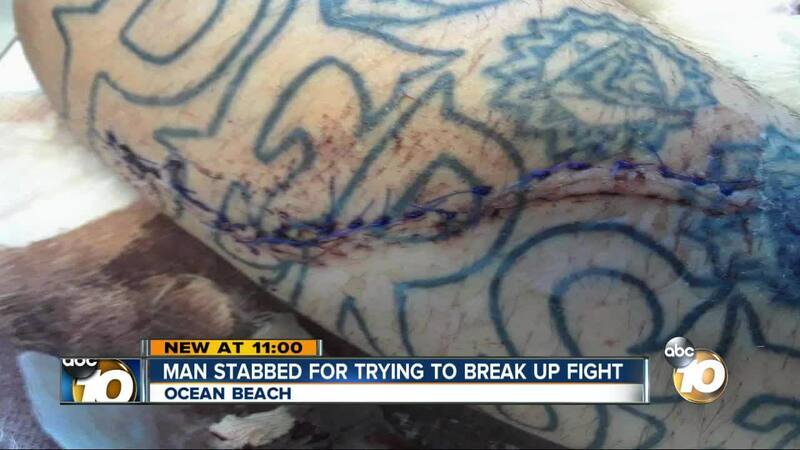 SANTEE, Calif. (KGTV) - An East County man is recovering after he was stabbed outside an Ocean Beach bar for trying to break up a fight. Kaya Hall says he was stabbed just after midnight on Jan. 17, in an alley outside Winston’s Beach Club. Hall says he just finished playing there. Whoever stabbed him got away. Hall says there were tendon and nerve damage to his arm and he had to undergo surgery. It’s going to take about six months for his arm to heal properly. Hall plays guitar in two bands and bartends. He can’t do either of those things with his hand in a cast. He says he can still do vocals for his bands, and mix music. Police are investigating the case. Any witnesses or people with information is asked to call the San Diego Police Department.